Uncategorized Archives - The Grand Strzelecki Track | The Grand Strzelecki Track - Walks of discovery in the Great Forest, National Parks and hidden wild places of the Strzelecki Ranges. Author ~ Daniel Broadbridge @ The Trail Running Novice There were three of us; Glenn, Matt and myself (all Sale and District Runners), who decided to go for a run in the Park, because if you need to do a long run, why not do one where there’s stunning scenery and some gnarly hills to match? 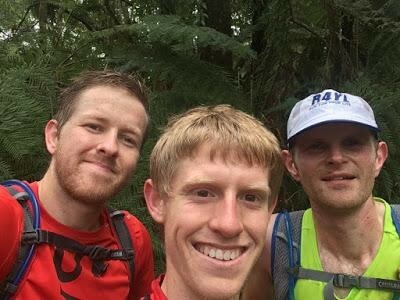 We are all from Wellington Shire (about an hour away from the Tarra Bulga) so we didn’t have to get up too early to get out running in the morning. We arrived at the Visitor Centre in Balook at 7.30am, to find out we were the only there (which isn’t surprising), only to step out of the car and immediately froze our butts off. It was about 13° C when we left home, the car thermometer when we stepped out of the car said it was 7° C. So just a tad bit chilly….